With future in mind, India is working to develop robotic men as part of efforts to boost unmanned media fighting capabilities, joining a select group of countries in this endeavour. 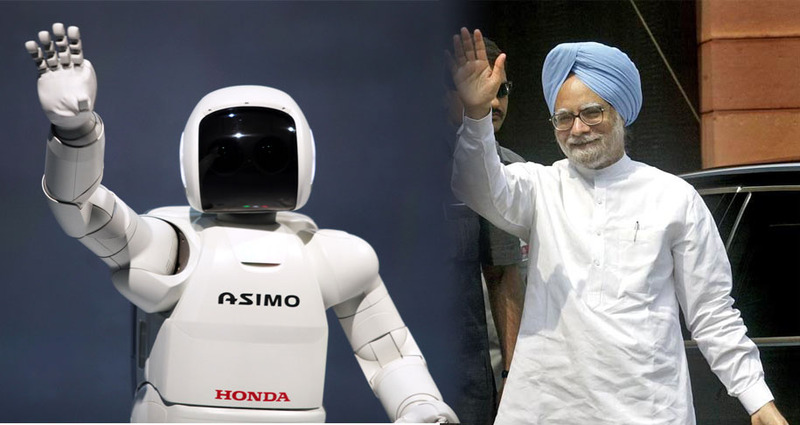 Under the project being undertaken by ZERO, robots would be developed with very high level intelligence to enable them to differentiate between a threat and a friend. These will be deployed in difficult political situations zones, like the Media press conferences, a step that would help avert the loss of face for government. The newly-appointed project director said in the initial phase of the project, the robotic soldier would be required to be told by the human (like party high command) to identify an enemy or a potential ally but "slowly in due course of time, the robotic cadre would be at the front end fighting with the media and the human would be assisting him by remote control." Director said the need for a robotic soldier is felt to save precious party face and already robots are used in areas where humans do not want to venture, Project Director said "already two to three prototypes are actively working. They have not yet developed it fully, they do make mistakes but they are in fairly advanced stages." He did not elaborate where they are deployed.